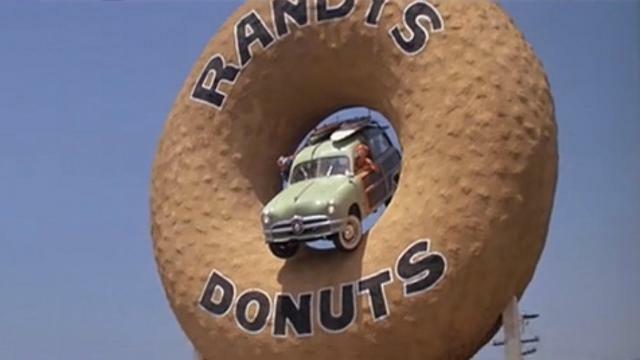 If you've watched a decent amount of movies, chances are the iconic Randy's Donuts has appeared in more than a few of them. This LA-Based donut shoppe has been a staple in SoCal since 1953 and continues to serve delicious and surprisingly cheap donuts to locals and tourists till now. It doesn't hurt that it's giant donut is super Instagrammable, too. It's such an icon, in fact, that it's appeared in tons of movies. Here a few of Randy's Donuts appearances in Film and TV. 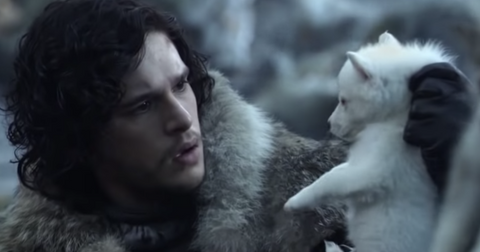 It'd be crazy not to mention this one. Robert Downey Jr. can be seen scarfing down some donuts while chilling in Randy's giant one - perhaps trying to pretend that Iron Man 2 isn't a RomCom disguised as an action movie. John Cusack drives a limo and somehow manages to survive the end of the world. Randy's was an unfortunate casualty in the destruction. 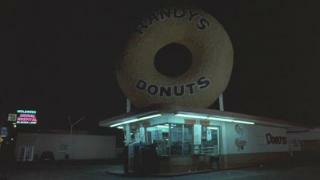 This Tim Burton alien-attack satire film renamed the iconic Randy's Donuts and moved it to the midwest. 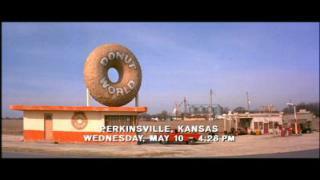 One of Jim Carey's earliest films, the alien-comedy starring Jeff Goldblum, Damon Wayans, and Geena Davis uses the giant donut as a prop in a ridiculous out-of-control car gag. 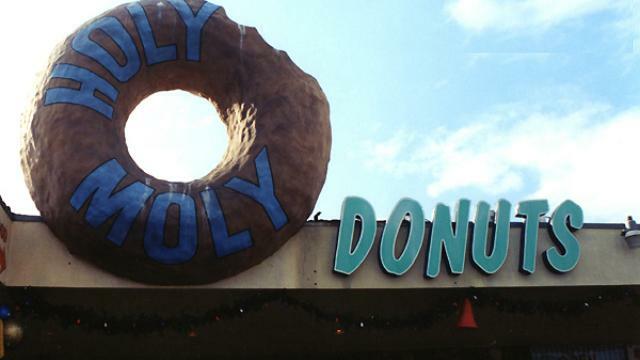 The worst entry into the Friday series of films features a Randy's donuts rip-off called 'Holy Moly Donuts'. Not really a Randy's Donuts feature, but an homage to the shop nonetheless. The animated film featured a pint-sized Randy's donuts in the rodent part of the Zootopia city. 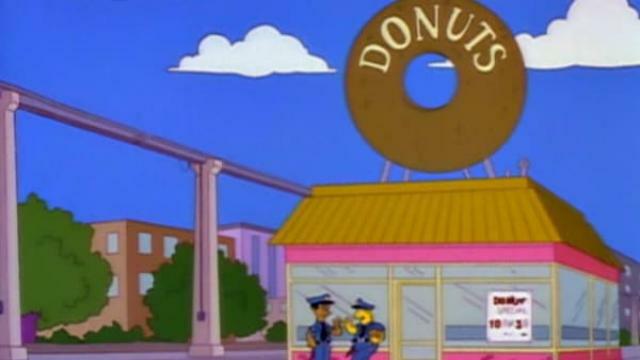 The opening credits features a shot of the classic donut shop. Movies aren't the only film medium that Randy's donuts appeared in, you can find nods and shots of the store on TV as well. 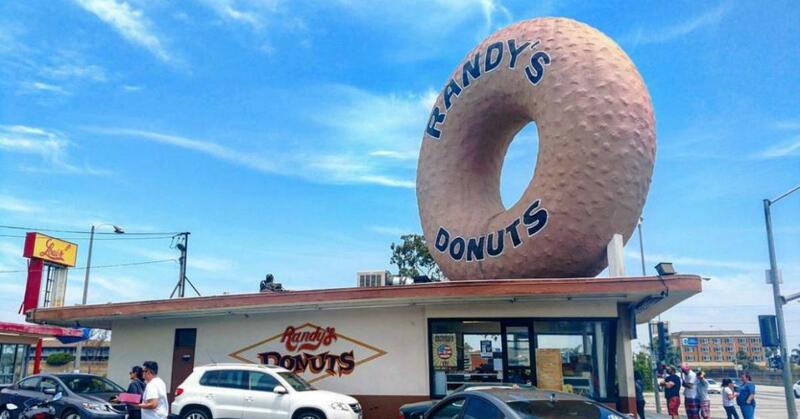 This donut shop isn't called Randy's, but the giant donut statue on top of the store is an obvious nod. Season 1 featured an episode where a beach held all of earth's landmarks and Randy's was right up there with the Leaning Tower of Pisa. 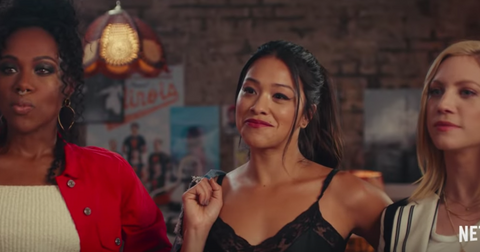 Musicians seem to have a soft spot for Randy's as well and have held concerts there and shot music videos. 10. Snoop's a big fan of Randy's and held a well-documented event/shindig there. Snoop has probably satisfied his munchies at Randy's once or twice.